Heudia empowers hospitals, managed care organizations, and government agencies to better control cost and implement more effective value-based payment models. This is accomplished through a technology-driven, subscription-based care model that utilizes data to identify the best opportunities to meaningfully intervene against a community’s most pressing population health challenges. They achieve their mission by converting data into actionable information – empowering low-income individuals to seek care at the right place and time while educating them to become better healthcare consumers that cost less to care for. This approach to population health builds on the industry’s investment in population health analytics and reduces complex methodologies that fail to engage high cost, high risk, and high need individuals who are typically hard-to-find. The National Kidney Foundation of Maryland is dedicated to preventing kidney and urinary tract diseases, improving the health and well-being of individuals and families affected by these diseases and increasing the availability of all organs for transplantation. 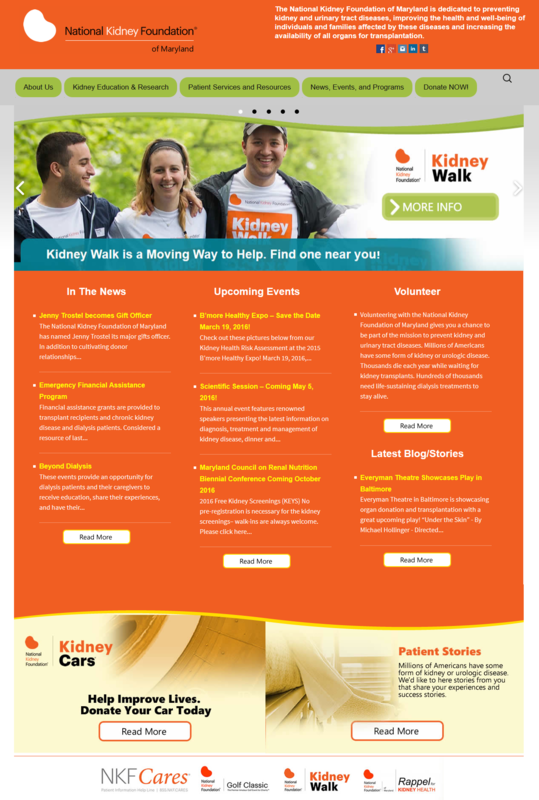 It was vital for NKF of MD to integrate a smooth, seamless responsive site that can be viewed on both mobile and tablet platforms. 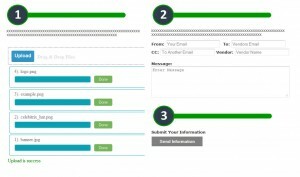 With a robust payment gateway integration system, donors may send online donations with ease. Do you have a similar concept for your non-profit organization? Click here to get in contact with us. Channeling is a process that allows energies from a higher source to use a human instrument to convey information. Channeling is different from other forms of psychic activity in that the information comes straight from the source to the seeker. There is no “middle man” interpreting or filtering the message. Channeling is especially helpful to those who seek insight from an alternative source for everyday challenges. Individuals receive information on very practical matters, such as career choice, interpersonal relationships, health, goals and finances. Additionally, questions concerning the spiritual realm are also answered through channeling. These can include past life experiences, messages from spirit guides and departed loved ones, karmic lessons and spiritual missions. Susan Q. Driscoll, M.A., is a practicing intuitive channel, counselor and teacher. Susan holds a master’s degree in counseling psychology and has worked in both agency and academic environments. 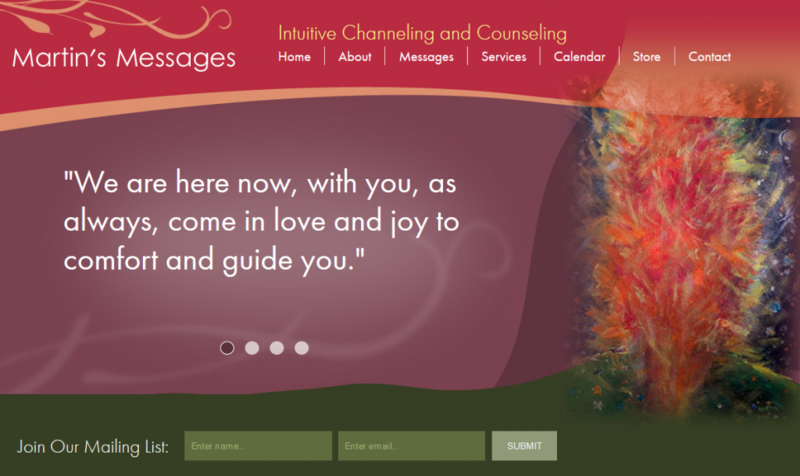 After many years of metaphysical searching and study, Susan began working with “Martin” energy in 1995. She conducts group and private channeling sessions, specializing in Akashic (past life) readings and life transition issues. RangeCraft Manufacturing is well known by discerning buyers for its popular product line of Made-To-Order range hoods. Skilled artisans, trained by Master Coppersmiths, create every custom designed range hood, one at a time. It was vital for RangeCraft to not only give their existing brochure a new facelift, but to also emphasize their core products around key content. In order to accomplish this, layouts are trialed and tested, and run through a series of design processes that ultimately result in a polished, final catalog like the one below. 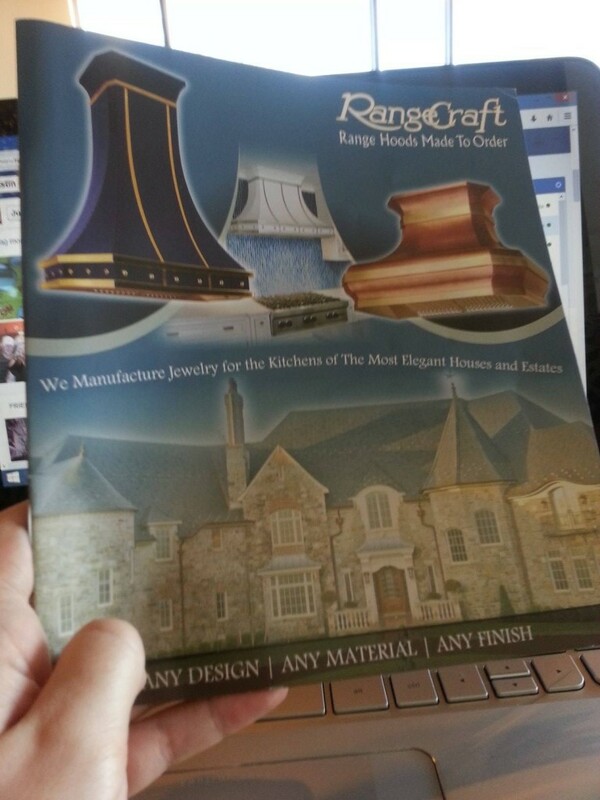 Need a Catalog created for your business? Contact us by filling out our online quote form. 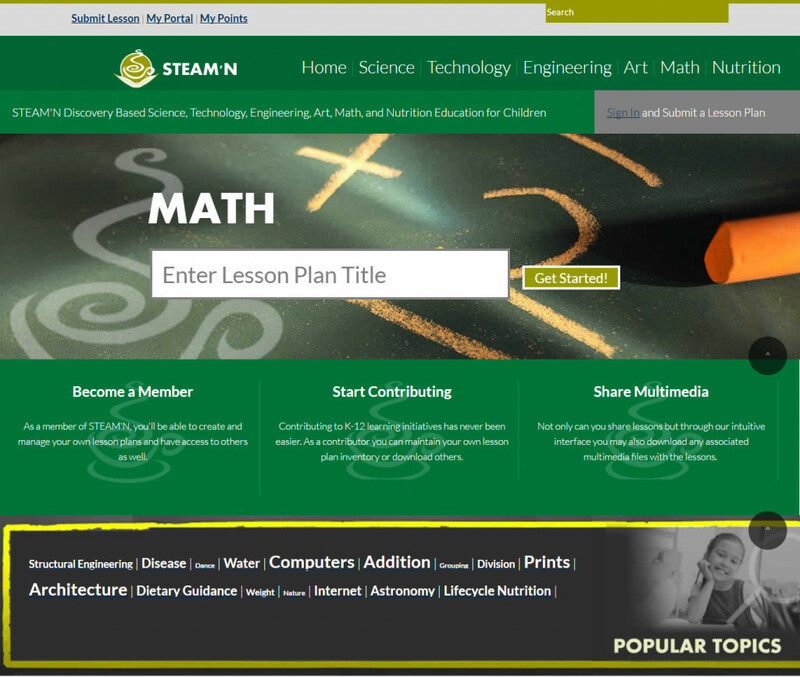 STEAM’N is a responsive, interactive, open source collection of science, technology, engineering, art, and mathematics lessons that always include a nutritional objective. The goal of this effort is to increase access to traditional and inquiry-based instructional materials that are relevant and consistent with current educational standards that also address nutritional health/education. Is your web presence driven by heavy use of file transfer methodologies by either your internal staff or clients? Exploring custom extranet or intranet solutions can increase your brand awareness and help you simplify file sharing without having to use cumbersome third party software. Complete our Free Quote to get started with your own Extranet or Intranet. Albert Hammond has been writing hit songs for over forty years. Albert achieved early success as an artist with his song “It Never Rains in Southern California,” and he has since built a multi-faceted career as an artist, songwriter and producer in both English-speaking and Latin markets. 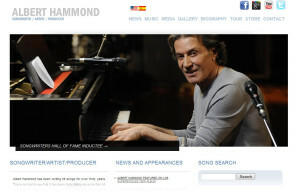 It was important for Albert Hammond not only display his album music in an organized fashion, but to allow his visitors to transition the content into Spanish translation. We worked with his team and helped create a highly functional, bilingual site that puts emphasis on and facilitates his ongoing music career. 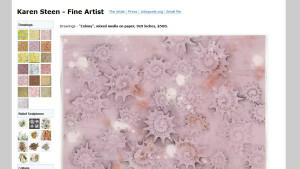 Karen Steen, native to the cultural art district in and around Bethlehem, PA wanted to create a very simple website that allowed users the ability to seamlessly browse through her artwork portfolio. 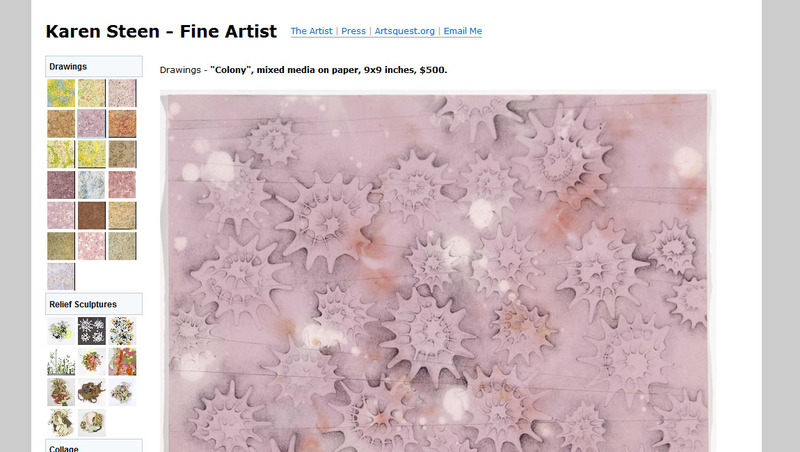 The site integrates a customized administration that allows her to edit her artwork and turn them into thumbnails for speedy viewing. In her most recent public setting, Karen discusses her artist in residence program on the Channel 69 TV show called ‘The Peak’. Sometimes it’s not enough to display an ordinary block ad for either a newspaper or other advertising medium. With good design comes better visual cues, so that the focal points emphasize and convey the message. 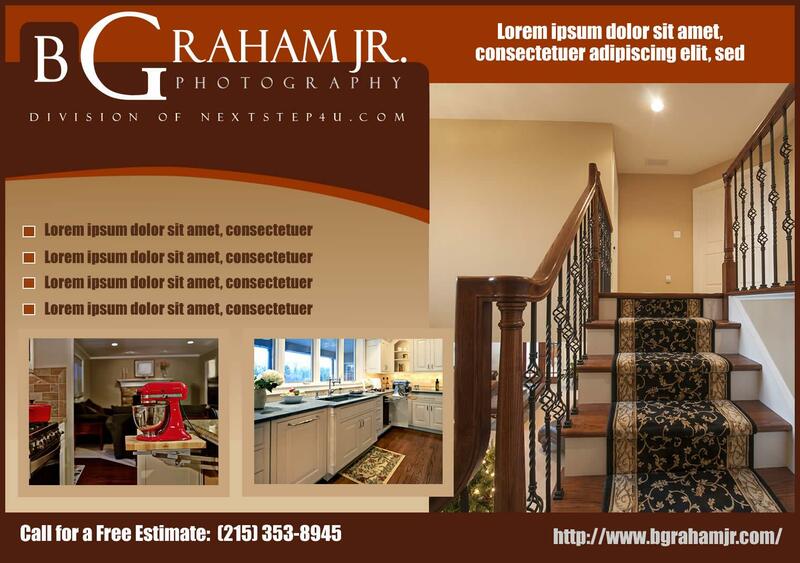 Spacial elements within a design can also play a major role on whether your ad is going to be seen. If elements are too numerous and congested, your eye isn’t able to focus on any message. Businesses across the globe commit huge dollars every year towards advertising campaigns using print, television and radio opportunities. However, only a tiny percentage of these businesses commit any dollars (or time) towards SEO, and they are leaving huge dollars on the table – or worse yet – in their competitor’s bank accounts! Search Engine Optimization, or SEO, is the process of setting up your website so it is EASY for Google to find your site and display it in search results for the products or services that your company offers. In other words, if you’re a computer consultant in Calgary, you need to make it easy for Google to realize that this is your area of expertise. Most businesses will overlook this opportunity (often because they don’t fully understand it) and miss the opportunity to capture new customers in need of their services. The reality is, whether you’re set up effectively for Google or not, when someone searches for your services they will find the information they need. So either you get into the game and show up effectively online, or those sales are going to your competition! It’s that simple.